One of the scariest parts of a hospital visit is never really knowing what the doctors are doing. 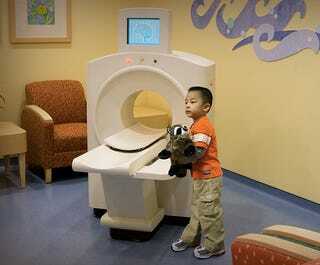 So a company called Creative Arts has created this tiny CT Scanner that kids can use on stuffed animals in the waiting room before they undergo the same examination. It not only helps distract them ahead of time, it also helps them better understand the procedure they’re about to have, making it slightly less scary.